A special, fun, hands on workshop designed to help you develop your tools for creativity, insight and flow. 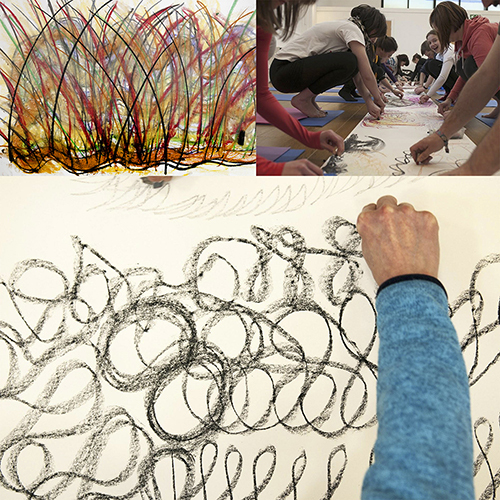 Using mindfulness meditation combined with specially designed drawing techniques the workshop will lead you through how to access your inner artist. Led by architect, artist and meditation teacher Mick Timpson founder of beanddo. Prepare to let go and find out just how happy, spontaneous and creative you can be! Booking advisable as numbers are limited. All materials provided. Please bring a cushion or two sit on.